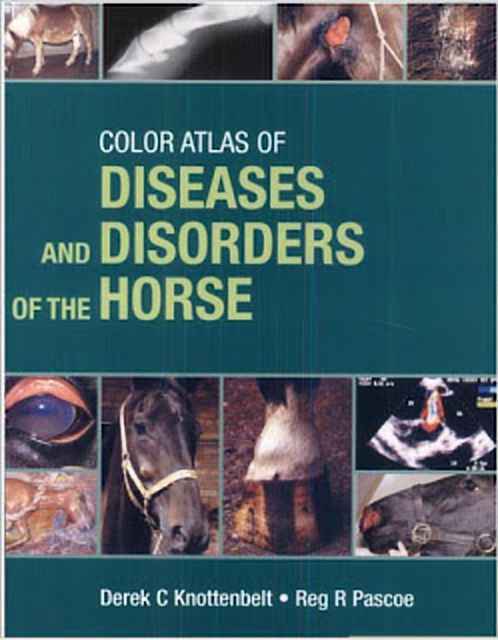 Color Atlas of Diseases and Disorders of the Horse PDF. A unique collection of photographic illustrations of the major equine disorders, providing both qualified practitioners and veterinary students with an invaluable guide to greater diagnostic accuracy, treatment options, and a wider understanding of the processes and signs of equine disorders. The systematic presentation of disorders along with the icon-based key points system of evaluation gives unparalleled ease of access and use. Conditions presented are gathered from around the world, making for a resource of universal application that is a major aid to the rapid visual recognition and interpretation of clinical signs that are vital elements of success in veterinary practice. Conditions of the alimentary tract. Conditions of the liver, peritoneum and pancreas. Conditions of the respiratory tract. Disorders of the cardiovascular system. Urinary tract disorders. Disorders of metabolism, nutrition and endocrine diseases. Musculoskeletal disorders. The integumentary system. Disorders of the eye. Disorders of the nervous system. Reproductive disorders.